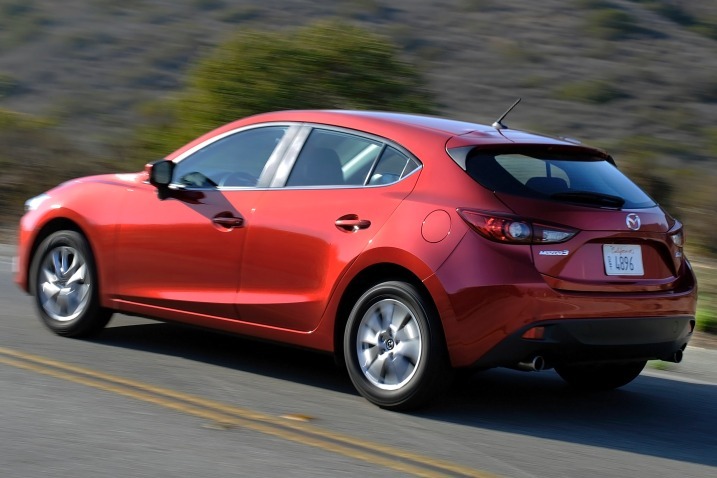 The versatile 2016 Mazda 3 offers powerful yet fuel-efficient engines, sporty driving dynamics and a comfortable ride. It is one of the best all-around compact cars. Precise handling; very good fuel economy; quick acceleration; top crash test scores; refined interior with intuitive controls; available hatchback body style; many advanced features are available. Above-average wind noise; ride quality can be choppy with the optional 18-inch wheels. For the 2016 Mazda 3, the SV trim level has been dropped, so the 3i Sport trim is now the base model. Mazda has also added more standard features this year. A rearview camera is on every Mazda 3, while automatic headlights, automatic wipers and a sunroof are standard on trim levels higher than Sport. A manual transmission is no longer offered on the 3s Touring.